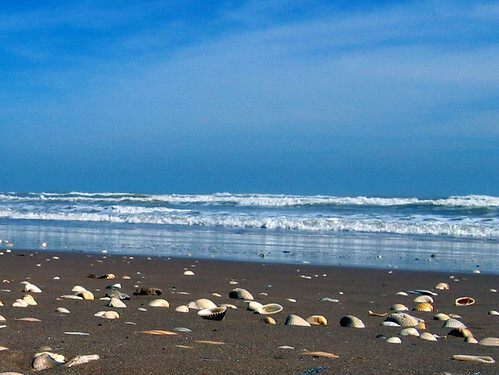 South Padre Island | RV There Yet? 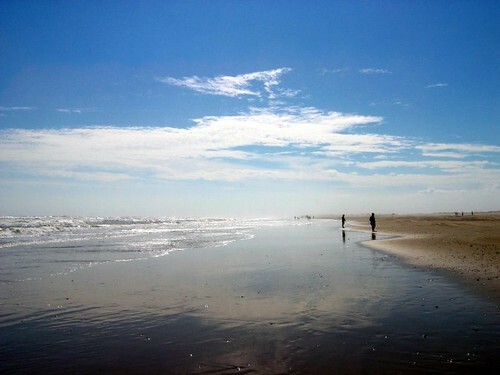 We drove over to South Padre Island today. It was a beautiful day, not too much wind, lots of blue sky, and temperatures in the low 80’s. 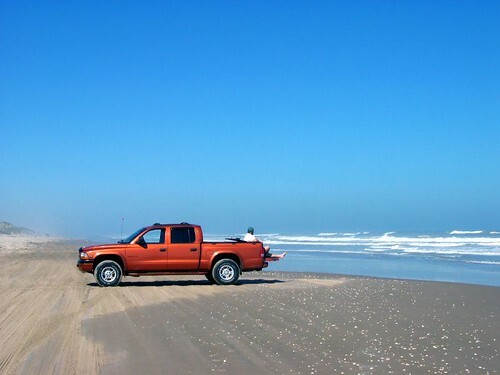 SPI is a huge Spring Break destination, but this time of year it’s just full of Winter Texans and locals enjoying some great fishing and beach time. We drove to the end of the road and then took a nice walk along the beach. 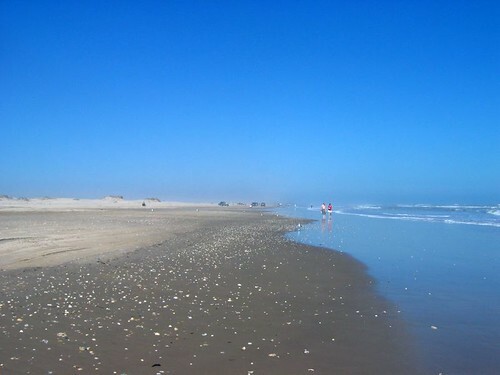 Then we drove about 5 miles back to a beach access road, and actually drove up the beach for about 15 miles. It was pretty cool! When we couldn’t see any cars ahead of us, we decided it was time to turn around. First, though, we stopped and enjoyed a snack on our tail-gate. What fun! We had a great seafood dinner (broiled not fried! ), and enjoyed a peaceful drive home. It was a beautiful time. This is the bridge to the island. I wonder if those are killer pelicans…..
Here’s our little tailgate party….. This could be us (eventually!). 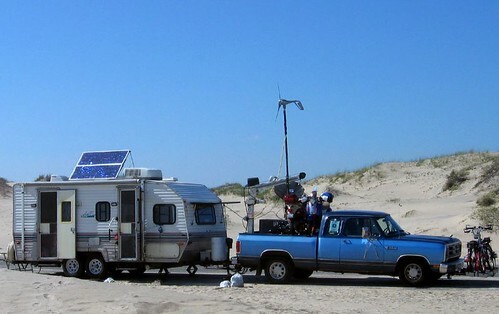 This guy was camped on the side of the road – with all of his STUFF – solar panels, wind generator, two motorcycles (on the truck bed), bicycles (on front of truck), and an internet satellite dish! My oh My! And here are just some other beach shots…. As I said, a beautiful day! We lived in the valley for 2 years when my husband was working for his company in Reynosa. 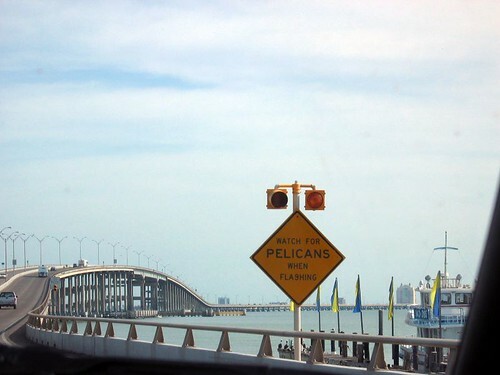 We’ve both got such wonderful memories of the island and Nuevo Progreso. It’s wonderful to see the pictures here!